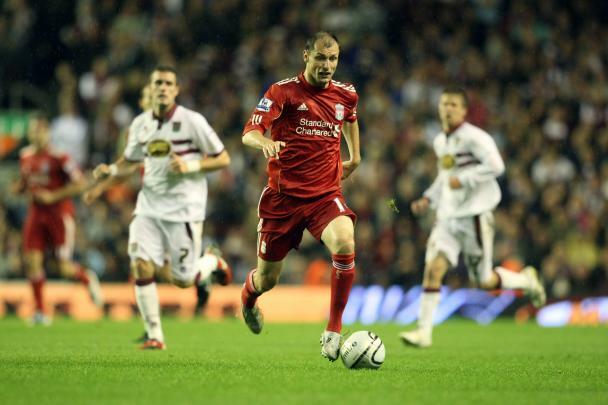 Wolfsburg manager Steve McClaren has offered £6m for Liverpool flop Milan Jovanovic. The former England manager is desperately trying to fill the void left by star striker Edin Dzeko who joined Manchester City for £27m last week. And McClaren has targeted Jovanovic, who has failed to make an impression at Liverpool since joining on a free transfer in the summer. The 29-year-old has started just two Premier League games since August and could be allowed to leave by new manager Kenny Dalglish. Serie A sides Fiorentina and Genoa have also been keen on Jovanovic, but reports in Germany have revealed that Wolfsburg are the first team to make a formal offer.